« 2011 — The Shadow Giller is back! This entry was posted on September 2, 2011 at 2:56 pm and is filed under 2011 Booker Prize. You can follow any responses to this entry through the RSS 2.0 feed. You can skip to the end and leave a response. Pinging is currently not allowed. So, which one is your favourite? And which titles do you think will make the cut? Like too many titles on the longlist, the premise offered promise — the book itself just was not delivering. Those who like it say it gets better, but 140 pages seems enough of a reader effort for me. Sorry, I’ve just realised that this is your list of books that you think will make the cut… so, what title do you think will win? They are “my” choices if I was a juror, not an attempt to predict the jury choices — I probably should have written a more accurate headline, i.e. KfC’s shortlist choices. I agree with you Kevin, The Sense of an Ending deserves a place in the shortlist and probably even the prize. While I did find it frustrating in parts, the fact that it provoked so much thought and discussion makes it a worthy winner. I can’t remember thinking about and discussing a book as much as this. If it makes the shortlist, I’ll definitely be rereading it. I’m also wondering if you have to be a certain age to truly appreciate it? I have not read the other books on your list but I abandoned a few from the longlist that you are also leaving out. I have to say I did enjoy Snowdrops and it did provide some food for thought for me in the end. Certainly not nearly as much as Barnes’ novel but I thought it was an entertaining read. As I said in my review, I too wonder about the “reader age” factor. I’m cheering for Barnes. Am I right in thinking that this year’s overall selection is poorer than last year’s in your opinion? Kim, Mrs. B, Guy: Barnes is certainly my choice to win, but given the longlist I wouldn’t hazard a guess at the jury’s choice — maybe after the shortlist comes out. As for comparisons with last year, yes, I think this was a lesser list, but not by much — and the chance certainly exists that this year’s short list will be just as strong. Susan Hill, one of the judges, has blogged and twittered, indicating before the longlist that there was general agreement on a number of titles. Also that the shortlist (which has already been determined — they warn successful publishers in advance to make sure copies will be available) came together relatively quickly. I can’t really fault them for that — the brief they are handed is to determine “the best book” from more than 170 submissions. It is only grumpy people like me who complain when the longlist is not the 13 best books from that lengthy original lot. Having said that, both Linda Grant’s We Had It So Good and David Bezmozgis’ The Free World would be on my shortlist, so I think the jury missed at least a couple of very good novels — although my nod would still go to Barnes. I have both of the titles you mention (We had It So Good and The Free World) on my acquisition list. Titles picked up from here. Of the ones I’ve read so far Barnes would definitely be my choice too. But I do worry that his book appears to be something of an odd-one-out on the longlist and that perhaps only one or two judges are backing it. ‘The Last Hundred Days’ sort of appeals to me in that I think it could be one of those books I wouldn’t expect to like but could be surprised by – if it makes the shortlist I’ll probably give it a go. I have a copy of ‘The Free World’ which I keep meaning to get around to – hopefully if it makes the Giller longlist that will provide the extra little shove that I need. I haven’t read anything like enough to suggest my “fantasy shortlist” but I’d rate Simon Van Booy’s ‘Everything Beautiful Began After’ and Cressida Connolly’s ‘My Former Heart’ above anything I’ve read from the actual longlist and I enjoyed Ali Smith’s and Kathleen Winter’s books equally as much as the Barnes. David: Thanks for that — Van Booy’s was one I had heard of and put in the “hope it makes the list and then I’ll buy it” category. I’ll try to get to it sometime. I was cool on the Ali Smith, would have been very happy to see Winter on this longlist. My thoughts on the long list seem to be very similar to yours. I am still trying to decide what I’d put on my short list, but there is nothing that jumps out as outstanding and the jury have made such bizarre selections with the long list that I think predictiong them is almost impossible. i think you’ve picked a reasonable six though. I’m interested to see what they actually choose. Jackie (farmlanebooks): “Bizarre” is a good word for this year’s longlist. It is as though someone headed into the bookshop wanting 13 books for a summer-long stay at the cottage and picked out a bunch based on jacket descriptions that sounded interesting but not too challenging. None of the titles was outrageously bad, it was just that most were not much different from whatever title happened to be shelved next to it. The good news is that I certainly agree on your choices that I’ve read. I expect Barnes, Barry and Dewitt will make my shortlist. 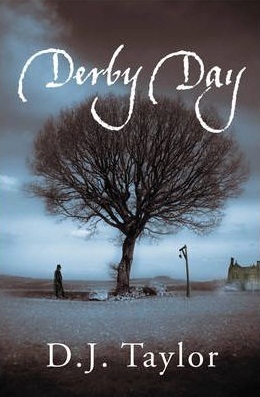 I just started Derby Day and while it’s early, I’m very impressed. It might supplant On Canaan’s Side as my second favourite. The bad news is that based on your reviews, the nominees I haven’t yet read may be disappointing. 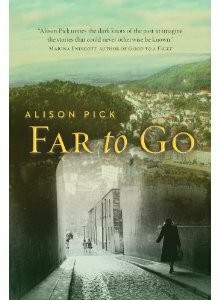 Far To Go is next on the reading list followed by Halfblood Blues and Cupboard Full of Coats. Kelman, Hollinghurst and McGuinness are only on my list if they reach shortlist. I stayed away from The Finkler Question last year based on your very negative review and I liked it quite a lot. I’m hopeful that there’s something that I like much better than you From the remaining nominees If not then my next few books may be disappointing. Rick: If there is a version of The Finkler Question in my opinions this year, it is probably The Stranger’s Child. I actually quite liked the first section but the pace and prose left me increasingly disappointed after that. That has not been the case with many readers. I was somewhat interested in The Last Hundred Days as I recently read Gregor Von Rezzori, who sets part of his very fine book in Bucharest. So that was a hook, but the reviews left me undecided and now your reaction is a clincher Kevin. I might read Barnes or DeWitt but neither strikes me as being urgent – as you’ve said elsewhere I probably have better examples of both “type” already waiting on the shelf. Leroy: Like Snowdrops, The Last Hundred Days uses the convenience of an amoral young Brit as a central character in a dreaded Communist (or former Communist) state to put down those states (here’s where I see the MI5/6 influence of this year’s jury chair). There are a lot of East European writers, some of whom are even getting translated (see Christoph Hein and Jenny Erpenbeck reviewed on this blog in addition to Von Rezzori), who do it so much better — without the preachy Western politics — that it makes the Booker nominees look embarrassingly bad..
It’s a good point about The Rimmington Factor, Kevin. I have Erpenbeck on the shelf thanks largely to your review, and I would pick up the Hein as well if I could ever find it in anything other then an outrageously priced hardback edition. If this is genuinely a prize for a book of literary skill and intelligence, then the Barnes must win. As I said in my comment in the relevant section, I don’t think that a more advanced age is a prerequisite to understanding (‘getting’) the book. It depends what age you’re thinking of, but I know several people in their early 30s who loved it. On the other hand I haven’t met anyone who has actually finished the Hollinghurst, though it will probably make the shortlist. I personally would like to see ‘Half Blood Blues’ go further. Kevin, I’m glad that you felt you could abandon ‘The Last Hundred Days’. Had it been published as a travel book or memoir I might have had more respect for it. A novel it ain’t. Interesting to see the deWitt on your list. Of course it’s entirely possible for a novel to be both literary and a Western (Cormac McCarthy proves that, though I’m not suggesting any similarity). Still, it’s intriguing that it still scores highly with you. Has it grown in the memory at all? Otherwise, what a dispiriting year. The Barnes sounds like a worthy contender, though against a dismal field. I wonder though at the whole prize. I’ve never been a big Booker follower anyway I admit, but when I read A Month in the Country recently I was so surprised it hadn’t won I went back to see what it was up against. Compare this year’s list to 1980s and the contrast is just depressing. There aren’t fewer good books now than then. It’s the prize that’s lessened. I hope there’s a bit of a backlash. If not I don’t see the Booker continuing to be relevant for much longer (for serious readers anyway, to use your phrase Kevin). Sazerac: Half Blood Blues actually has improved with memory — some of the aspects that annoyed me (lingo is one that comes to mind) are fading while some of the imagery is getting stronger. If it makes the shortlist, I may give it another read — I’d say the same for Far To Go. I am guessing that one, but only one, makes the shortlist. I probably would have struggled through The Last Hundred Days if I had read it earlier in the list of 13. Coming when it did in my schedule, I just found that it shared every weakness that had already annoyed me in Snowdrops. Patronizing Western attitudes, blatant plot lines and stereotyped characters. This year’s jury seems to have a taste for the obvious. Max: I wouldn’t have been as surprised to see the deWitt on a North American prize list (note: it will be interesting to see if it makes the Giller longlist on Tuesday); I did find it strange on a UK list. As for the memory aspect on The Sisters Children, there are some set pieces (they are the best part of the book even on first reading) that remain very strong, as does Eli’s introspective character. As I said in my original review, the novels has aspects of all three of my “Western author signposts” (Grey, McCarthy, Stegner) so it is a worthy addition to the genre. AS for the Booker overall, I’d like to repeat a thought I raised in an earlier comment. In relaxing the rules to create a bigger longlist (I think it was 173 this year), I think the Booker organization self-created a system that guarantees they will not find a “literary” jury — and the “old” days of strong Booker shortlists have come to an end. The attempt to “popularize” the award and inflate its reputation through long longlists means that the kind of distinguished literary people who used to be judges will simply turn down the honor — no real reader believes he or she can realistically read and evaluate more than 170 titles in seven months, particularly if he or she happens to have even a bit of a life. The result will be jury members who don’t know books, but probably have quite large egos — or are between jobs and need to keep their name “out there” (you know, a sort of literary “Reading with the Dancing Stars”). As a number of the early comments on this thread show, a very strong list was possible this year — the jury just didn’t find it. The Booker seems to have decided that it is no longer a “literary” prize (I blame Ion Trewin for this), but in the meanwhile is wandering in some kind of no man’s land where it doesn’t have a character. I’m pleased to hear Half Blood Blues has improved with memory. Despite my dislike of the quotes it’s one that continues to intrigue me. Probably because of the subject matter (jazz, not the holocaust, that’s a demerit from my perspective). Reading with the Dancing Stars. Nicely put but rather dispiriting. My annual decision not to join the various Bookerthons has never looked a better choice to me than this year. I am cheering for DeWitt to make the Giller longlist and the Booker shortlist (and the TOB, though that’s probably a truly long shot). I am close to the tipping point of giving it a go. While I have only read two “westerns” from McCarthy (the only other being The Road), I liked them and loved Western-based TV shows and movies growing up. So there is a part of me that wants this Western to be good, really good. Otherwise, the Barnes is the only one of the longlisters that has made my TBR. Your coverage is invaluable in helping me spend my (too limited) reading time wisely. I had hoped to read more from the longlist but I’ve only read two of them and abandoned quite a few. My predictions are here. 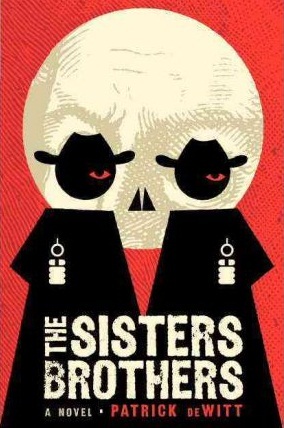 Kerry: If you like the video Westerns, you’ll probably like The Sisters Brothers. It is also a very accessible read in that deWitt carries you along quickly. Mrs. B: Well, if the two you have read make the shortlist, then you only have four to go 🙂 . If the jury’s list is close to yours, I’d say you have some good reading ahead of you — not all the books on the longlist are, although that certainly can’t be said of them all. There is a god. No dreary Hollinghurst, no overblown Barry. I don’t know why ‘Jamrach’ is on there, but I’m delighted that my little’ Half Blood Blues’ got on the shortlist. The shortlist confirms the judges as a panel who believe in “a good story well told” as the requirement of a ‘best’ novel. The list seems to select some of the most commercial titles from the longlist, with genre to the fore: a western, a thriller, an adventure story. For me, a more important measure of a book is whether it attempts to do something new, to be sui generis, and based on the comments by others who have read them, these six don’t do that. I’ve read two: Barnes (which I liked very much) and Kelman (which I thought was OK). I could easily produce a list of eligible books I thought better than those two because they try something different and succeed at it: starting with John Burnside’s A Summer of Drowning, Richard Beard’s Lazarus is Dead, Lars Iyer’s Spurious and Anne Enright’s The Forgotten Waltz. It is possible that I could read the remaining four shortlisted titles and find them better than my choices, but I don’t think so. Is this what happens when one of the most prestigious literary awards in the world is decided by a panel headed by a woman who had (and I quote from an interview with her) “help with … the writing” of her first novel? John;perhaps the head juror should have gone back to her tradition and looked for some “help with the reading” of the Booker list. Maybe it is just my excitement that this year’s Booker is moving on and the Giller is now up, but from the terrible longlist I actually think the shortlist is okay. Or, at least the shortlist has books on it I have read (or have tried), so I feel no temptation to go get all the other books. The Giller list looks incredible. John: Your comment literally came in as my edit was being posted — I would say we are on exactly the same track. I would extend the “genre” aspect to all six books (the other three would be fictional memoir, war story and adolescent narrator). I realize that uses “genre” more as label than recognized category, but I think is fair. From my point of view (and this is where I agree with your final paragraph), this jury looks at books from a very “conventional” point of view — an issue which I did raise in my post at mid-list. Anything that could be described as “fine” writing is not for them; certainly anything “experimental” doesn’t rate at all. I’ve already indicated a number of titles I value more than those on the jury’s list — I’d add the three of the four you raise in your comment that I have read as well. Sheila: Perhaps Stella did have “help” from the very same person — this looks like the kind of list that a ghostwriter (hack?) could put together. Sazerac: I guess, like you (or me for that matter), the jury could not face the prospect of reading either the Barry of Hollinghurst another time :-). And I agree with the other “good thing” you found on the list — I may well give Half Blood Blues another go. It has improved with memory and moments ago made the Giller longlist (as did The Sisters Children. If you can find anything else positive to say about this shortlist, please do check in again. I suspect there won’t be many positive reactions here. In defence of Stella Rimington’s ‘helper’, this was no hack but Luke Jennings, author of a highly acclaimed memoir (Blood Knots). Thanks for the correction, John. My apologies to Mr. Jennings. Oh and Kevin: which of the Burnside and Beard have you read? Will you be reviewing it? The Burnside — I wasn’t really sure what I thought of it and both lack of reading time and blog space meant it went back to the shelf. I hope to get to it again this fall or winter. I haven’t read everything yet but I find the shortlist quite disappointing. I liked the Birch enough but Snowdrops? Really? I’ll read the Kelman but haven’t seen anything that says it’s great. Barnes is still the class of the field. Rick: While the Barnes is my favorite by far, The Sisters Brothers was a worthwhile read and I am looking forward to giving Half Blood Blues another chance. From my perspective, the other three are not even good examples of the genres they represent — and none meet my definition of literary fiction, let alone finest book. Pigeon English did have potential (although I think it missed) so I won’t try to discourage you. After that, why not try a couple crossover reads — both Edugyan and deWitt are on the Giller longlist as well. And as you can see from my post on it, I think it has a number of better books on it. My only complaint is that the longlist truly is a long list — I think the jury would have done everyone a favor (from authors to publishers to readers) with a shorter list, but maybe that is just a longlist reader complaining. Good to hear your thoughts on the shortlist, Kevin. Just out of curiosity, which eligible books that didn’t make the real longlist would have made your personal shortlist? Crake: I’ve mentioned most of them in comments. Just for a start, by author, Linda Grant, Adam Mars-Jones, Anne Enright, Kathleen Winter, Michael Ondaatje, Graham Swift, David Bezmozgis, Elizabeth Haynes, Annalena McAfee, Edward St. Aubyn — and those are only the ones that I have actually read. (You can find links to reviews on all but the Ondaatje and St. Aubyn — reviews on them still to come — on the right sidebar.) A number that I didn’t have time to get to yet (e.g. Amatav Ghosh) might well also be better than what the jury selected. I know that takes my longlist over 13, given that I did like some on the real longlist. It just goes to show, even in the UK this was a good year for fiction — the problem is a jury that simply was not up to the task. It’s a deplorably story-driven selection. The basic flaw re: the panel’s selection criteria is that the ‘literary’ award for ‘the best book eligible’ for a given year should be given to the best book. Be that experimental, difficult, whatever. You can hear the timbre of the panel discussions this year. ‘Oh, I couldn’t put it down! Could. Not. Putitdown. I had me rapt!’ ‘Yes, yes. My driver told me that he could not get my attention whatsoever whilst I was reading this. I’ve passed it on to my ghostwriter. We must do something similar!’ There are absolutes: one is that Snowdrops is inferior to Cedilla. It really is that simple. So it’s embarrassing, but not unexpected, that this year is another disaster, but no-one will remember any of that if they do the decent thing and give it to Barnes. Though I’m almost hoping they don’t, as I don’t want them to retain any credibility. Harumph! Surely the Barnes must get it. It’s in a class of its own. But, yes, it’s obviously a ‘best of genre’ shortlist (let’s pretend they’re the best – isn’t it all slightly subjective anyway? ), so that might skew things. Part of me says that they’re trying to highlight something or other with the very studied long/shortlist, though I’m not entirely sure what: two Victorian, two gritty London, two offbeat; two wartime; two ‘Eastern bloc’ – and one of each remains, along with a work of ‘literary fiction’ (which rightly saw off the other pretenders to that title in the Barry and Hollinghurst). The one thing I will say in the judges’ favour is that they didn’t do what I for one expected them to, and that was to nod through Barry and Hollinghurst just because they are Barry and Hollinghurst, at the expense of better books. ‘Half Blood Blues’, for example, though not a Great Book, is a better book than either of those two. The narrator in the Barry is not credible, and I still haven’t met one person who has managed to finish ‘The Stranger’s Child’. It’s one thing not to finish a book because one finds it too difficult; that doesn’t make it a bad book necessarily. It’s another not to finish it because it’s just plain boring. That *does* make it a bad book. Maybe now that they’ve made their point (whatever it is), they’ll let the best book win. Lee: I did laugh out loud with your quotes — to date, they are the highlight of the shortlist for me. They are consistent with another impression I have, that members of this jury read, they just don’t read a lot or with much focus. The result, I surmise, is that some books that seem to have interest (and most of the titles at least promise that) move forward even though in the final analysis they are simply badly done. And books that require attention (Cedilla is an example) or have rather subtler plots (Ann Enright) just don’t fit with reading in the back of the limo (I like that image as well — some books just can’t be read in the back of the motor). I agree that the Barnes is the best by a wide margin — given the jury, I won’t be surprised at all if they decide to make a “statement” and choose someting else. Pigeon English and Snowdrops seem the most straight forward and hence most likely choices in that scenario. Sazerac: You and I are in agreement on the genre-based approach this jury has taken. It is almost as though they were asked to produce a “select” buffet from a cuisine that they were only half familiar with. “Oh, we must have one of those…and those…and perhaps one of those for some spice. None of that stinky stuff, though — I don’t care how much the natives like it.” I would alter the post I did at midpoint about genre (which admittedly stretched the application of the term) and adopt your point that the longlist had “pairs” which have now been reduced to singles. I’ll admit that I am still partial to my dog show metaphor — what we have here is the jury’s notion of six best of breeds (it’s the selection of the breeds that is part of the problem) and now await the awarding of their idea of best in show. I think you are right, Kevin. I think they will go for Pigeon English. And good luck with that if they do. Disaster. But let’s be positive and allow for the incredible. I enjoyed this quote from the chair, and I say it captures entirely what you say above when you say you can’t read Cedilla in the back of a limo. And I’m a bit surprised that the quote (and I admit, I’m picking and choosing and taking things out of context) doesn’t accept that one can both read and admire a book. Trevor: Thanks for relaying that deplorable quote. “Best” book or “finest” book has been interpreted by this jury as “enjoyable” book. The true disgrace of this jury is that four on the list that they have produced (I exempt deWitt and Barnes) are anything but enjoyable. If that’s the criterion, at least give us books that are enjoyable — come on down, Richard and Judy. And, as a test of the chair’s observation and since I know you do a lot of reading on the train between South Orange and NYC, just how often did you hold up your copy of Snowdrops and shout “this is a cracking great read — go out and buy it!” My impression was that you quietly closed your book (or shut off your e-reader) because it was both boring and annoying you and found more enjoyment in contemplating your fellow train travellers. I pretty much read door-to-door during my commute — there’s so much I want to read and little time — but you are right about Snowdrops. That short thing was anything but a page-turner for me, not because of the writing (which I found to be okay) but because it was ridiculous, cliched and boring, made even more tedious since Miller had to keep some false sense of foreboding through the whole thing when we already knew what was going on. It took me days to read because I frequently decided I could be doing something more interesting, like contemplating my fellow train travellers. The same thing was happening with the Birch, though I found it better than the Miller. The deWitt, though, was much more “enjoyable,” and I think there was a time or two when someone asked me about it and I said something suggesting that it was enjoyable and that I recommended it, even if I didn’t think it was anything to be savored. No, this year the jury failed the Booker by thinking that enjoyment means lit-lite. I also believe they failed even those readers they were trying to cater to because I just don’t think these books are even that enjoyable. They remind me of last year’s Giller longlistee The Debba, a book that tried at once to be a readable thriller while pretending to be literary, failing terribly on both ends. Those quotes are ridiculous (‘from the chair’ is right – might as well be a chair judging). ‘Let’s just award gold medals to the skaters with the nicest costumes, never mind that they don’t do the set pieces, and fall over a couple of times.’ I’m now depressed. I thought last year was bad enough with the crude ‘Slap’ and the cringeworthy ‘Room’, but who knows what might appear in the future if there’s some sort of active attempt underway to – yes, I’m going to say it – dumb down the reading experience. Agreed. From my perspective, “readable” (which was a challenge for much of the longlist) is a necessary condition (as in a hamburger must be “cooked”). “Enjoyable” would be fairly low on my list of desirable attributes — thought-provoking, challenging, perceptive, insightful, heck even life-changing would just be a start on the list of characteristics I would be looking for before “enjoyable”. I just finished another re-read of War and Peace — of the many words that I could use to describe it, enjoyable would not be one. 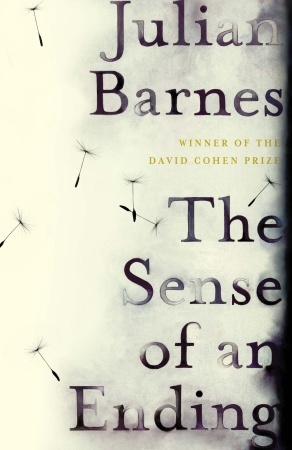 Sorry if this question has been asked and answered already as I may have missed it, but how can I get my hands on a copy of The Sense of an Ending here in America before its January 2012 release? 1. The cheapest is to order a UK version through the Book Depository with its free shipping. To do this, go to AbeBooks.com, search the book, then find the Book Depository listing (the price will seem higher than the alternatives — that’s because there is no shipping charge). U.S. residents used to be able to order direct from the BD but they now block access when an American version is scheduled. 2. That may not work for you with a U.S. postal address so you may have order a Canadian version. Go to http://www.chapters.indigo.ca , search the book there and pay for international shipping — it is costly but not prohibitive. Let me know how to make out. Fine qualities and not ones I disparage. Bugger all to do with literary merit though. 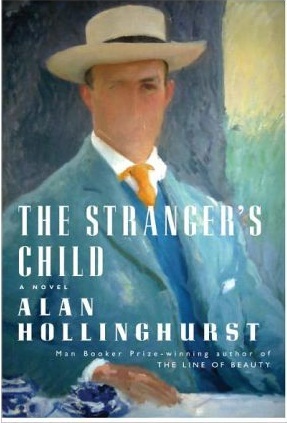 That said, chucking out the Hollingsworth does look the right choice. For all the Guardian referred to it as being acclaimed (or some similar phrase) every review I’ve seen has alluded to it being dull and overlong. Those aren’t literary qualities either. Who knows who’ll win? I wouldn’t count on the Barnes. This doesn’t seem that sort of jury. He has to be a favourite but far from a dead cert. The idea of this jury getting to grips with Cedilla (which I admit I’ve not read yet) is just not credible. I know I mix between light and serious fiction, and so does Guy Savage, but most people don’t that much and I struggle to imagine someone whose preference is for “a good story well told” picking up Adam Mars-Jones or anything experimental. A basic criteria here seems to be that the books are page-turners. I’ve read a lot of good things about Adam Mars-Jones, but my impression is that the average reader probably wouldn’t find him a page-turner. Another criteria appears to be well crafted plots. Again, I’ve not seen that claimed as among the things Mars-Jones focuses on. Internal novels, novels about language or the structure of the novel, experimental novels, discomforting novels, none of these would ever fly with this jury. Shame, but there it is. Max: The intriguing think about the Cedilla example for me is that, in contrast to half the shortlist and even more of the longlist, it was more of a page-turner that featured a much more interesting plot. Okay, it is hardly an adventure story — but a cumbersomely written adventure story (which a number of these were) has nothing going for it. The “political” novels, meanwhile, were so obvioius (and dreary) that I felt I was always about 50 page ahead. Mars-Jones, meanwhile, gave us a very interesting central characters, with equally fascinating parents, friends and enemies. And the plot, while not overly dramatic, actually has some surprise to it — a good author really can make a Cambridge pub crawl more “enjoyable and readable” than a bunch of sailors drifting into cannibalism over 200 pages. Cedilla may have a lot of pages but they sure went a lot quicker than Hollinghurst and even some of the 300 page novels on the longlist. What stuns me most in the post-announcement jurors’ comments (outside of the clunker that Trevor posted here) is that they think these six are well written. The Barnes certainly is and the deWitt is excellent for the genre — after that (even Half Blood Blues which would be my next favorite) the writing is adequate at best, frequently quite bad. You can only conclude that this was a jury whose members simply don’t read very much. What a tremendously depressing conclusion Kevin. I don’t have any reason to doubt it sadly, but still dispiriting. As I said I haven’t yet read Cedilla, but I absolutely have read literary novels (many times) that were exciting reads that pulled me along as a reader – not exciting in the thriller sense but genuinely so for all that. As you say, a good author can make a Cambridge pub crawl more enjoyable and readable than a mediocre author can make the most dramatic of events. A cumbersome adventure story really is a pointless beast. Next year’s Booker will be interesting. If this is where the prize is going I don’t see any further point to it. No, if ‘enjoyable’ is the primary criterion for the prize, let’s just hand it to any chick lit (sorry – ‘women’s popular fiction’) author you care to name, since I imagine that the word ‘enjoyable’ would make more sense to the people who devour those books than it does to several of the contributors here. I concur with your conclusion that the jurors must not read very much though I would have expected more from Susan Hill. Is it just volume that prevents better Booker Juries. The Giller Juries have consistently been filled with respected authors with this year as no exception. I think the Giller Juries have done a very good job and the Booker Juries not so much. Is Trewin to blame? Is it just that he has no sway in the literary community? Rick: You raise an intriguing question with the Booker/Giller comparison. I do think in 17 years the Giller has establsihed a significant reputation in the writing community — which has led to consistently outstanding judging panels. (The fact that until this year’s 143 books the submissions were a far more manageable 90 or so probably helped). If you go back more than a decade, the Booker featured similar reputations. That has changed in the last few years, consciously or not. I do think Trewin tried to “popularize” the Prize with non-literary jurors which in itself produced a chicken-and-egg effect — by reducing the literary quality of the jury it became harder to attract worthy jurors. As for this bunch (including Susan Hill) I think at least a couple went into the process with a chip on their shoulder about what the Prize has been and a determination to “show” those responsible (whomever they may be) a “readable and enjoyable” alternative. Alas, what a disappointment that turned out to be — which is why I think this group has opinions about books (mainly negative ones), but doesn’t actually read very many. As I mentioned before Kevin, when I checked the 1980 list to see why A Month in the Country hadn’t won I found that the lineup that year was staggeringly impressive. I honestly don’t think the state of the novel has worsened in the intervening 30 odd years. The judging panels though, that may well be another story. I think 1980 is a good counter to this 2011 list. Surely this jury would have passed on each of the 1980 titles, even the short and lovely A Month in the Country (doesn’t it dwell rather long on a stove and a piece of artwork from a long time ago?). Well, since we’re comparing in even numbered years, let’s look at the authors from the 1990 Shortlist. Byatt, Bainbridge, Fitzgerald, McGahern, Brian Moore, Richler. Does anyone think Barnes, Birch, Miller, Kelman, Dewitt and Edugyan will achieve similar acclaim? Trevor, Rick: That 1980 list is amazing — I have five of the seven on my shelves and have read them all, a couple more than once (I’ll admit that Burgess and Golding are not among my favorites — they are the ones that are missing). And the next time we do a “shelf edit” none of the five will be leaving. As for Rick’s 1990 list — wow, what a year. Possession was my desert island book until A Fine Balance came along. I only got to McGahern recently (thank you, Kimbofo) but Amongst Women is an all-time classic. And we haven’t even started on Moore, Richler and Fitzgerald. 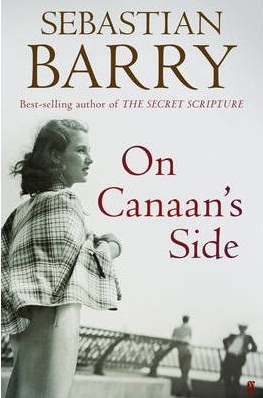 The only one not on the shelves (and they have all been read) is the Bainbridge — I have others but not this one. Stella, Susan and their colleagues seem to think that previous Bookers produced sales of books that went unread. The two years that you have chosen to highlight show the exact opposite — books that I have not only read, but may well read again. This year’s list, on the other hand, has all the traits of Charity shop/airline read/long train trip books — if you manage to finish it, you leave it to be packed up with rubbish or picked up by the flight attendant and hope whoever gets it next enjoys the free read. I have this gene that says I never throw a book into the rubbish bin — I can’t help but wonder if that is where this jury finds most of the few books that they do read when they are not on a judging panel. The 1980 list is staggering. I did rather like Trevor’s reference to the stove. It’s not that long in the text, but it sits long in the narrative somehow even so. As a general comment to whoever’s reading, both Kevin and Trevor recommended Month to me, just as both recommended Maile Meloy’s Both Ways is the Only Way I want it. Neither book is quite my normal reading taste (pastoral and midwestern are neither areas that appeal to me) but both were genuinely excellent. If they agree on a book it’s worth taking note. You’re a Mistry fan Kevin? I didn’t know that. What makes A Fine Balance so notable? Previous years did of course produce books that went mostly unread. That’s not though a problem. Literary fiction is niche. It’s not popular. It doesn’t strive for popularity – it strives for excellence. To think a work of literary fiction fails if it doesn’t reach a wide audience is a nonsense. There’s nothing praiseworthy in not being popular, obscurantism shouldn’t be a goal in itself, but there’s nothing wrong with being unpopular either if that’s due to a book being challenging or innovative. In recent years I’ve been somewhat sceptical of the Booker because I thought it focused too much on well written but slightly dull books over more experimental books that asked more of the reader. Looking at this year it seems I didn’t know when I was well off. Well, on to Giller next. I finally completed the Booker shortlist and 9 of the 13 overall. So, I can finally fully comment on the shortlist. I still maintain that the list is the worst I can remember. That is despite loving the Barnes, liking the Edugyan a lot and enjoying the deWitt. I suppose I could have lived with Jamrach’s Menagerie as the 6th choice on the shortlist as tastes are different. On the Booker site, a lot of people seem to support Snowdrops. I saw it as a run of the mill thriller type that had nothing to recommend it to the Booker, let alone the shortlist. Then, Pigeon English. There was a good story in there somewhere behind the ham handed narrative and the truly stupid use of the pigeon’s commentary. This would have been the worst Booker nominated book that I’ve ever read except for the fact that the jury supplied The Testament of Jessie Lamb on the long list. On the Booker site, there were a lot of people challenging others to say that they would be a better judge than Dame Stella. Well, I would not have commented before the lists came out but will judge only by results. Results indicate that many of us would have been better judges than Dame Stella et al because this was a very poor result. A Barnes victory may salvage something from this but that seems unlikely. Rick: I agree with every word of your comment — this is by far the most disappointing shortlist in my experience. The Sense of an Ending would be a worthy winner and at least save face. I will be taking a long hard look before committing to read the entire Booker list next year. It seems to me that Ion Trewin has decided that the Costa and Richard and Judy are his competition and has moved the entire prize into a field that just doesn’t interest me that much. I certainly read enough excellent novels to fill out a worthwhile shortlist — and they didn’t even make the longlist. Not long to wait – and I’ve a horrible feeling that Pigeon English will take it. Anyway, I think you are absolutely right: there has clearly been a shift towards the two other prizes you mention and if so that’s a travesty. Perhaps another award will emerge that looks out for the literary impulse as opposed to the rattling yarn emphasis. PS I am enjoying your Giller coverage but haven’t read many. I will eventually get round to the best of the bunch, at least. It would be good to have some kind of feeling of involvement in an award with genuine merit, after all. Sales this year are apparently among the highest (if not the highest) the Booker has seen. I imagine part of that is due to more of the books being in paperback than usual (the publishing industry has taken an age to notice that most people don’t want hardbacks any more) but the popular nature of the titles must of course help too. Given that result I suspect this year will be seen as a success, and so the template for things to come. I don’t anticipate following the Booker further if that’s correct. I can certainly share that sentiment. The film critic Leonard Maltin used to provide lists of his ‘favourite’ films and of those he considered ‘best’. The distinction was something I always found questionable but don’t nowadays. There has to be some argument, surely, about the potentially knotty merits of a book, that’s perhaps elusive and interesting, and not initially superficially pleasing? I don’t want to know, merely, if I am going to be entertained: I want to know if I am going to have something to ponder, hopefully for years, not for the three hours it takes me to riffle through it. I can see what he meant. I’ve always been fond of the film Demolition Man. I’d hesitate to put it on any list of best films though. What one likes and what one most highly regards don’t always fully overlap. Similarly with fiction. I love Robert E Howard’s Conan tales, but I’d hesitate to put them up there with Nabokov. Lee, Max: My problem with this year’s longlist for the most part (and certainly the shortlist) was that the opening premise for virtually every book held interest — it was the execution that made them very ordinary. For a period I did wonder if the jury had only read the jacket covers (“Oh, that sounds interesting — must give it a go”) and not actually sampled how bad the writing was in the book itself. If you merely look at a description of Pigeon English, Jamrach’s Menagerie or Snowdrops there seems to be a good book possible — these books just don’t happen to be it. For me, even Half Blood Blues suffers from the same problem, although others have found the writing better than I did. Barnes and deWitt are at the top of my list simply because the authors succeeded in delivering what they attempted. For me, the Giller has been an incredible contrast this year, an example of what good literary prizes should do. The 17 books range from the very conventional historical novel through works that are simply well-written to the quite experimental. So far (I have five yet to read), the common characteristic has been the quality of the writing — something that was sadly missing from this year’s Booker list. One has to wonder if that jury even knows what good writing is. Makes you wonder about the whole process, even in the supposed golden years of the 80s-90s. Although I grant that the 84 shortlist knocks spots off this year’s crop. Leroy: It is true that those of us watching (and semi-participating from afar) have often wondered if the Booker hasn’t always been a literary version of the classical cockfight — a tightly-knit group of insiders who might not like (indeed, even hate) each other, having still enjoying have at it in an annual festival. Most important, however, was to make sure that no outliers got to infiltrate the cabal. Fortunately, as your last comment acknowledges, the books have a way of overcoming the people. Although, I can’t help but wonder after the last two years if Ion Trewin isn’t determined to turn the contest (not just the Prize) into something far less interesting. There was a good article in The Guardian newspaper recently about this whole notion that the increase in sales of the shortlist will be taken as an indication that the panel were correct to change the tone of the prize. The writer (whose name escapes me at present) pointed out that Hilary Mantel’s book sales increased hugely because of having been awarded the prize, and, perhaps equally importantly, her back catalogue also came to light. This is what this particular prize should be about – introducing people to work/writers they might not have been familiar with, in that way benefiting everybody. There are enough prizes already for ‘easy reads’. Gross sales are no indication of quality. JK Rowling has never been nominated for a Booker and rightly so. With that said, I offer the Harry Potter books to Pigeon English and Snow Drops from both the literary quality and enjoyability perspectives.